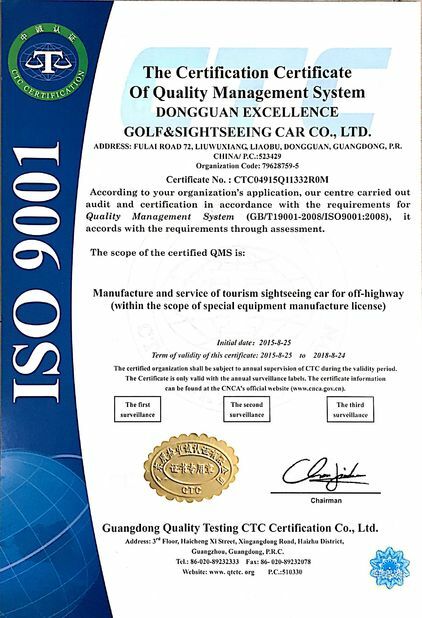 Dongguan Excellence Golf & Sightseeing Car Co.,Ltd is a high-tech enterprise of four-wheeled electric cars with independent research, manufacturing and global sales. 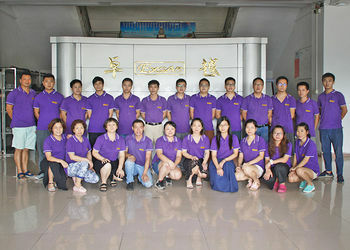 Our company was established in 2006, since then we are devoted to four wheeled electrical car research and to provide high quality golf, sightseeing, patrol and special function cars to golf course, tourist resorts, street communities and industrial parks, with the technology and service to meet customer security and requirements. 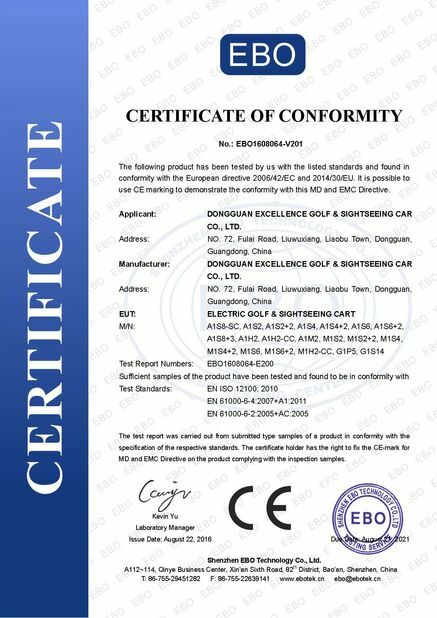 Dongguan Excellence Golf & Sightseeing Car Co.,Ltd is located in Liaobu Town, Dongguan City, neighboring Shenzhen and Guangzhou, with convenient transportation. 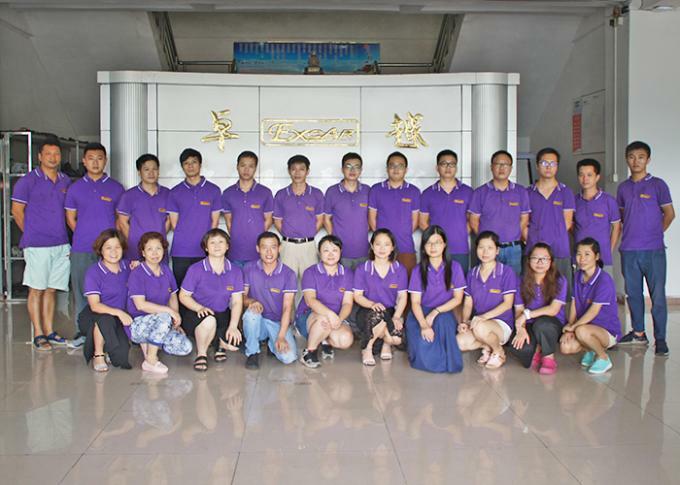 Our company has passed ISO9001:2008 quality management system certification and has the special national production license. 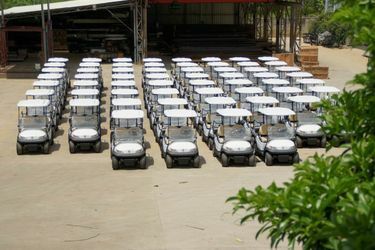 With the most specialized research and sales team we have become one of the most professional manufacturers of golf carts in China. 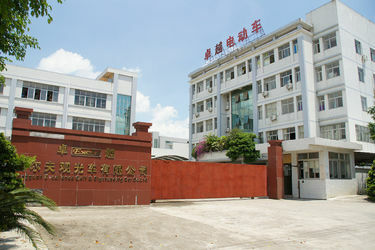 EXCAR located in Dongguan City, Guangdong Province, which is the famous manufacture city, which next to Songshan Lake High-Technology industry district. EXCAR is an enterprise with advanced technology and we are professional electric vehicle manufacturer who can provide integration service for development、production、sales and service. EXCAR is the biggest brand in electric golf sightseeing vehicle industry among China. lOur carts can be ranked as the ideal multi-functional field carts, suitable in the golf course, tourist attraction, hotel and resorts, theme park, airport terminal, railway station, shopping mall or center, stadium, school, industrial park etc. For all your inquires about us or our products, we will reply you in detail within 24 hours. 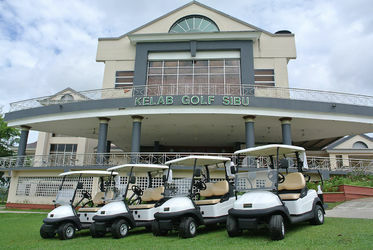 As a rapidly growing company specializing in the research &development, manufacturing and exporting of electirc golf carts. At EXCAR, our competitive advantage lies in our ability to overcome challenges in the market. It is our anticipation to give our clientele the opportunity to purchase cost effective products with superior quality. Since our inception we have formed strong and lasting partnership with many reputed clients globally, each respected for their own fields of specialization.These partnerships have been mutually beneficial and have grown stronger through the areas. We take pride in our skilled personnel who are continuously trained in their respective field of competence to deliver viable and effective solutions to our esteemed customers. 'Commitment to Excellence' is delivered through high quality products and unmatched service support. We are committed to ensuring that you are totally satisfied with our golf carts’ superior performance and price from EXCAR.